I'm not sure what drew me out to my old walk around the park this morning. The Sunday routine usually involves watching Sunday Morning on CBS...there are usually some good stories (it's funny that the target demographic for the show must be 55+ as most of the ads are for medications to "ask your doctor" about...I'm 36). Maybe it was the fact that, despite my rational New England upbringing telling me that spring will not be here until sometime in April, most of the snow is gone and I swear there were spots of green appearing and more vibrant bird song. Ah...delusion...love it. There was something else that drew me out, along with a large clear plastic bag left over from the purchase of a small pot of kitchen herbs at Russell's Garden Center yesterday; it's trash picking season! Yep, that in-between time of the year when snow melts away to reveal the detritus of our passing and the lushness of spring and summer has yet to hide it. The bottles and cans hidden by the lush greenery of the summer, then the oranges & browns of the fall, and finally the pristine whiteness of the winter snow start "blooming" as the snows recede. What joy! The first sign of spring is the trash we've decided to leave behind. I'm not sure why I feel the responsibility to hike around and pick up some of this stuff. Maybe I'm seeking some karmic reparations for the bottles & cans that I tossed into the woods as an under-aged drinker in high school. 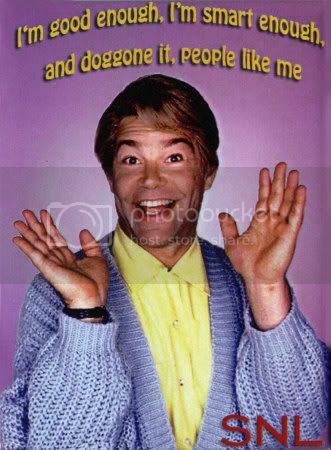 Maybe I'm looking for an immediate boost to my own self-image, kind of like an environmental Stewart Smalley ("I'm a good person for picking up trash!) , or perhaps I'm thinking that the other folks around the park will see some random guy picking up trash and feel motivated to do a little themselves. The more likely observation may be that I'm some vagrant looking for some extra money (how's that for a dim view?). More than likely it was reading the articles in the latest issue of Orion Magazine, about walking around Mt. Tam in CA, the economic & environmental impact of factory farmed shrimp, and the "right" of children to spend time in Nature. Maybe I just want to leave things better than I found them. There was the usual mixture of beer bottles, beer cans, plastic water bottles, Dunkin' Donuts iced coffee cups (with their insulating Styrofoam covers attached! ), and a few juice bottles. I found a bottle of Budweiser near the remains of what must have been thirty or so lottery tickets, clustered at the base of a tree near a rip in the fence between the MBTA's commuter rail line and the neighboring land. It made me wonder if someone had a routine that involved the regular purchase of lottery tickets and their subsequent ditching in the same spot if they were losers. Elsewhere, I stooped to pick up a Poland Spring (Eco-friendly bottle with 30% less plastic - that means it's OK to leave it in the ground!) and noticed a small burn hole in the bottom and a piece of tin foil over the mouth with tiny holes (made it look like a pepper shaker). I think that was a pipe of some sort. Nice. The path crosses the tracks and then hugs the side of a small hill abutting a nondescript brick apartment building. I always find plastic water bottles, glass beer bottles and other such items here. Is it the people living in the apartments that "accidentally" allow some of their trash to fall from the parking lot down to the trail or is it the people using the trail? Either way, there are always new things to pick up. The trash collects where the people travel, either along the paths in the woods or along the roads or in the common areas. The pool area was remarkably clean...that's because it's been closed for many months and no one is using it. Give it a while and the trash will bloom there, easily visible as concrete and pavement rule that area. Most of the time, I gently fume as I go about picking up other people's garbage, cursing our lack of responsibility and nonchalance. This time, my mind was quiet in that regard, perhaps realizing that I am part of the society that defines how we treat the places we live and share. Remember the comment about leaving places you visit better than how you found them? Perhaps I've stumbled across a core value that I'll need to integrate into any new business I start. Excellent article. To give up CBS Sunday Morning is a hard thing. :) I followed you over from Twitter and have got your RSS feed. Keep up the good fight! If you pick up the trash because you want to leave things better than before, than you will feel good. But if you're fuming while doing it, then you're not doing it for that reason. You're doing it to prove you're better than someone else. 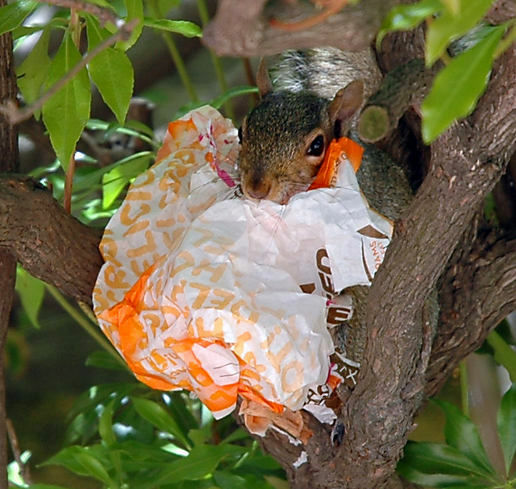 I love picking up recyclables on my walk and getting them to the recycling bin. My specialty is scrap metal (lead from balancing weights, aluminum cans, screws, nails, nuts, etc.). I'll bet I've recycled well over 150 lbs. since I started doing this 15 years ago. I've recently reconnected with my "clean up the planet" passion with Litterati. http://www.litterati.org. It's a project using instagram to capture, catalogue, and clean up litter. Re-reading this four-year-old post was enlightening.